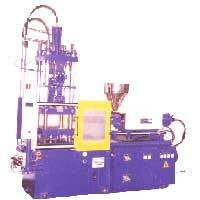 Patel Plast is a prominent company engaged in manufacturing and supplying Plastic Moulding Machines. The wide range of Plastic Moulding Machines offered by us chiefly comprises of Plastic Injection Moulding Machines and Plastic Insert Moulding Machine. We design these machines as per the clients’ specifications or requirements. Our Plastic Moulding Machines are widely appreciated for their easy to operate features, robust structure, precisely engineered design, excellent output in terms of quality and quantity of moldings and durability. Our machines are designed after intensive research and determining various needs of the industries.